The artist NemO’s published a photograph on his website. 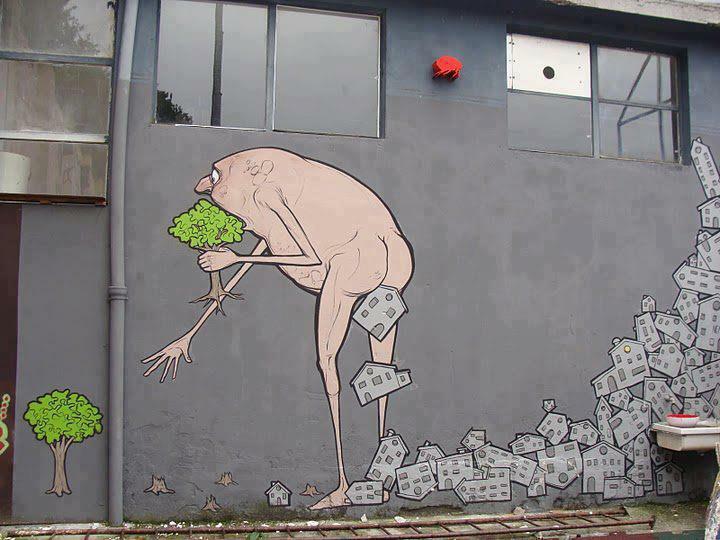 It is a picture of his work done on a wall in Milano, Italy. “I lived in Milan in Italy for a while and because I come from a small city surrounded by countryside this big city seemed like a desert of cement to me, the skyline was barely visible!